Miss Phoebe Westbrook wishes she was anywhere other than at Lord Livesey’s house party. Family loyalty and duty forced her to accept the invitation. When she overhears Lord Livesey’s opinion of her, she knows he feels the same. 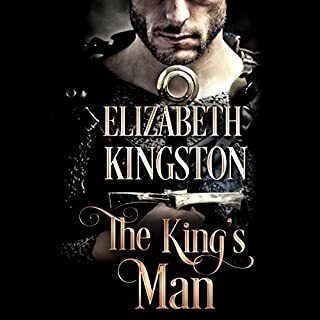 Determined to make the most of his library whilst visiting, she soon finds herself being drawn into the lives of Lord Livesey and his children, whether she likes it or not. Meanwhile, Lord Livesey has lived a lie. His marriage was not the love match everyone presumed. His children are strangers to him. Olivia Kingsley didn't expect to fall in love and receive a secret marriage proposal two weeks into her first season. However, one dance with Allen Wimpleton, heir to a viscountcy, and her fate is sealed. Or so she thinks until her eccentric and ailing father, unaware of Allen's proposal, announces he's moving the family to the Caribbean for a year. In two days. He vows to never risk his heart again. She hides her love to avoid rejection. A marriage of convenience is not what either of them wished for. Overlooked by society and underappreciated in her family, Ellen Bringhurst has resigned herself to spinsterhood and a life of reading. Until her match-making friends contrive to reintroduce Ellen to the man she has secretly loved since their shared childhood. As the younger son to an earl, Marcus Calvert must wed in order to inherit his estate. Still nursing a broken heart, he prefers a practical approach to matrimony rather than romantic love. 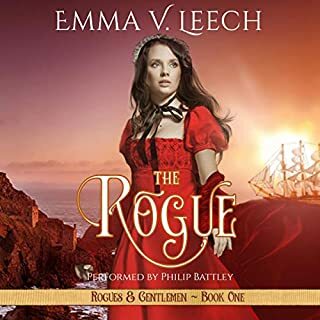 Ewan Cameron, estranged grandson of the Duke of Lotheil, is in London because of a deathbed promise made to his father and has no intention of staying beyond his three month obligation. 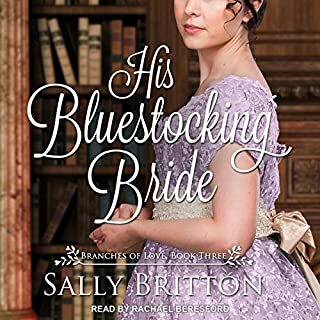 Nothing can tempt him to remain, not even Lily, the beautiful bluestocking determined not only to restore relations between him and his grandfather, but to turn Ewan into a proper gentleman. The Viscount's Christmas Temptation: Certain individuals might consider Lady Amelia Pembroke a managing sort of female, but truly, most people would be lost without her help. Why, the latest on-dit is that rakish Viscount Sheffield is canceling the fête of the year because he hasn't time for silly soirees. He doesn't need time - he needs her! 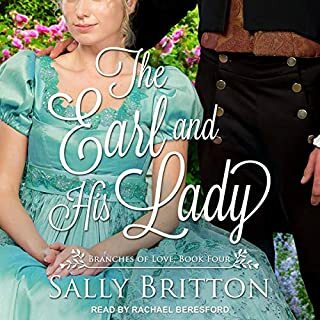 Threatened by French spies, assassins, and calculating suitors, can Lady Henrietta Harcourt trust the infamous rake, Lord Cordelier Rathbourne, with her carefully guarded family secrets? 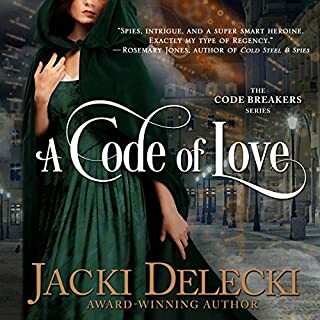 In his new, undisclosed position as Director of English Intelligence, Cord faces more peril keeping the brilliant Harcourt family of code breakers safe than he did as undercover spy in Napoleonic France. Cord's passionate attraction for the indomitable Henrietta hasn't diminished in his four years abroad, but neither has Henrietta's memory of his libertine past. 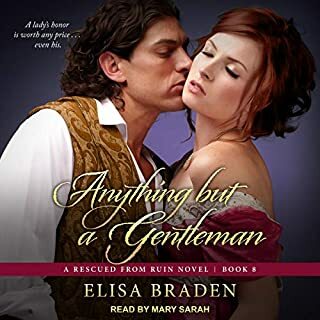 Lady Virginia Macon, the recently widowed baroness of Heatherton, has an impossible decision to make. Her late husband's unscrupulous brother demands guardianship of her sons. The courts are on his side, unless she marries someone willing to stand in her late husband's place. Locking her heart away and devoting herself to her children is the only way Virginia can countenance such a decision. 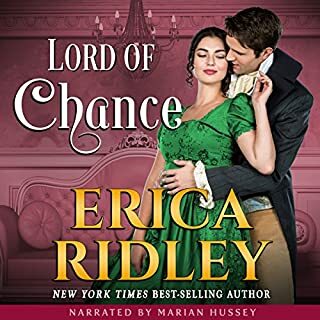 Wearied by the world, Lucas Calvert, wealthy earl of Annesbury, is tired of being alone. When he learns of Virginia's plight, he knows he can save her and her sons. Disguised as a country miss, Charlotte Devon flees London, desperate to leave her tattered reputation behind. In Scotland, her estranged father's noble blood will finally make her a respectable debutante. Except she finds herself accidentally wed to a devil-may-care rogue with a sinful smile. He's the last thing she needs...and everything her traitorous heart desires. An angry earl. A desperate spinster. A reckless wager. For five years, Brooke Culpepper has focused her energy on two things: keeping the struggling dairy farm that’s her home operating and preventing her younger sister and cousins from starving. Then one day, a stern-faced stranger arrives at their doorstep and announces he’s the dairy’s new owner and plans on selling the farm. Though she’s outraged, Brooke can’t deny the Earl of Ravensdale makes her pulse race in the most disturbing way. Heath is incensed to discover five women call the land he won at the gaming tables their home. Their guardian made no mention of his beautiful, impoverished wards, nor did he reveal that he forced Brooke to send him the dairy’s proceeds or he’d evict them. 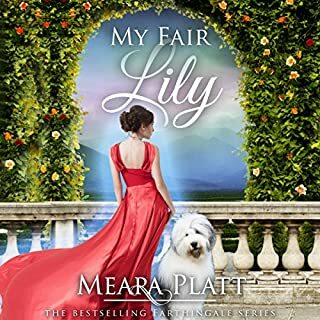 Heath detests everything about the country and has no desire to own a smelly farm, even if one of the occupants is the most intelligent, entrancing woman he’s ever met. Desperate, pauper poor, and with nowhere to take her family, Brooke rashly proposes a wager. Heath's stakes? The farm. Hers? Her virtue. 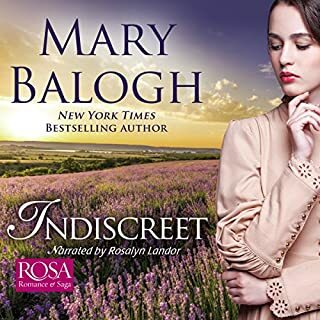 The land holds no interest for Heath, but he finds Brooke irresistible and ignoring prudence as well as his sense of honor, he just as recklessly accepts her challenge. In a winner-takes-all bet, will they both come to regret their impulsiveness, especially when love is at stake? *Previously published as Brooke: Wagers Gone Awry. No extravagant balls or beautiful dresses in this one. The story takes place on one run down estate in the countryside over a ten day period. But what a ten day period it was. It works in any time period where women are strong and resourceful. Exciting wager to be sure!! Brooke takes care of her sister and three cousins. They live on a simple cattle farm and produce cheese. She just wants to provide for her family and has come to terms with being a spinster. Her other cousin inherited the title and farm when her fathers passes and takes the rents but pays no attention to these ladies. When her nasty cousin losses the property to Heath the Earl of Ravendale she tries to think of way to her farm back. Heath having no desire to own a farm falls for Brooke instantly. During their time together he gets hurts and she nurses him back to health. She tells him she will do anything to retain her farm. He wants her period so a wager is formed. Brookes dog must corral the cows into the barn. If she wins she gets the farm, if she loses she will become Heath's mistress for a year. Well in true Cameron fashion they each get what they want...A lot of laughs with these girls and I can't wait to get to the next Culpepper tale I am sure it will be just as fun! this is a great story. i enjoyed it and it kept my interest in the story. A laugh out loud wonderful romance. 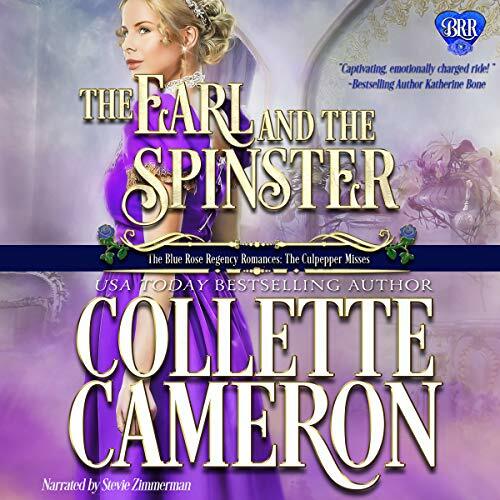 The Earl and the Spinster is the first book in The Blue Rose Romances: The Culpepper Misses series by Collette Cameron. It was formerly titled Brooke: Wagers Gone Awry. After Brooke Culpepper's father passed away 5 years ago the dairy farm and all that came with it became the property of a distant male relative. He has no interest in the place, or in Brooke, her sisters and cousins who all live there who he is now the guardian of. He is happy to let them run the place and live there on the proviso that Brooke sends him half of the profits every quarter. If she is late with her payments, or worse still, doesn't send any then he has told her he will sell the property and he doesn't care what happens to them. It's hard work for Brooke keeping the place running especially as she has little profit with which to maintain the place, but she and her family love it there and do all they can to keep things running smoothly. It, therefore, is a huge shock when one day a man arrives on their doorstep to inform them that he is the new owner of the dairy farm and is going to sell it. That man is Heath, the Earl of Ravensdale. He actually won the farm in a game of cards. He wasn't told anything about the women living there, just that there was a tenant that was way behind on rent payments who needed to be evicted before the sale could take place. So, yes, the women were shocked when he arrived at their home, but no more shocked than Heath was to discover them there. He was absolutely gobsmacked too when he realised that all 5 women were absolute beauties, especially Brooke. Despite the fact that he could take their home from them Brooke can't help but feel an attraction to Heath. The feeling is mutual. She tries to convince Heath to let her and the girls stay on as they have done, running the place and sending him the profits. But he has no need of the money or another piece of land. He doesn't want the women to end up on the streets though, and thinks of ways that he can sell the place but still be able to help them. It crosses his mind that he could set Brooke up as his mistress. Before he even has the chance to make the offer, Brooke comes up with a wager that she is sure will win them the farm. If she wins he will give her the property if she loses then she will give him her virtue. He knows it's a terrible wager but she convinces him to agree to it. Who wins, and what are the consequences, what of the absent guardian, will he get away with the initial wager that has caused so much trouble for Brooke? You will have to read the book to find out. I loved this story, and I especially loved how much I disliked Heath to begin with, only for him to redeem himself so that I liked him a lot by the end. Brooke and the girls are all wonderful characters, and I look forward to reading each of their stories as this series continues. Heath's friends are great, and it's a real hoot reading about one in particular who really annoy Brooke's sister. In fact, there are some fabulously funny moments throughout the whole book that had me laughing out loud which was wonderful. The narration of the book was very well done, in fact, I think out of all of the female narrators I have listened to Stevie is the best. At least her male characterisations don't make me cringe! The only reason I haven't awarded her 5 stars is that on occasion I believe she has taken a breath, added a pause in a sentence where it was unnecessary. It was like putting a full stop midsentence. Apart from that small negative, I have nothing but praise for both her and the book and am very happy to recommend them. I really enjoyed listening to this story. It was filled with twists and turns, I never knew what was going to happen next. Brooke and Heath along with the others were a delight to get to know. I can't wait to see what happens with the rest. I would definitely recommend this! What an absolutely wonderful beginning for a series. This story is about Brooke Culpepper and Heath, Earl of Ravensdale. Brooke, the oldest Culpepper, has run herself ragged (really) handling the family farm and dairy business. Heath has won the farm acreage from the Culpepper's sleazy cousin and has come to collect (and then sell) his winnings. He is not greeted with joy. In fact, five beautiful Misses Culpepper and their retainers do not make him feel welcome at all. There is a spark between Heath and Brooke that might develop into something good. It doesn't look good, especially when his solution to their situations is to make Brooke his mistress. He doesn't score points with anyone, including his own friends, for that one. Brooke is devastated; everyone else is furious with him. The main characters in this story couldn't be less alike. Heath is a devil-may-care confirmed bachelor. He just wants to take advantage of a business opportunity. Brooke, along with the whole Culpepper household, is strong, kindhearted, caring, and determined, in fact desperate, to do what is best for those she cares for. These opposites don't attract; they collide. The four Culpepper girls stick together and support each other and Brooke. The little peaks at their personalities whet the appetite for each of their stories. Leventhorpe and Hawksworth add some humor and provide advice and support for Heath (and Brooke). The mumbling protective retainers, Mabry and Duffen, and Freddy, the ancient Corgi, round out a fantastic group of characters. The story is interesting and entertaining. It doesn't feel like a love story at first, but it gets there. I enjoyed and recommend this one and look forward to the other stories in this series. Stevie Zimmerman turns in her usual talented performance. She does such a good job with different voices. She makes the gentlemen sound haughty and arrogant, the girls sweet and sassy. She also has a pretty good mumble. This story was such a joy to listen to. I loved the family love between the sisters and cousins. Brooke was such a caring person, the way she put her family first. Heath was a loveable rogue but he had met his match in Brooke. There were tantalising glimpses of two friends of Heath, Leventhorpe and Hawksworth, who surely have their own interesting stories. Stevie Zimmerman narration was excellent, as usual, she used different voices to bring the different scenes to life. This was a very entertaining story. Such a wonderful love story. When Ravenwood wins a farm in a card game he goes to check it out. He doesn't expect to come to a home of destitute but beautiful ladies, especially Brooke who catches his eye right away. What ensues is calamity, wittyness and a man who tries everything to get what he wants. But the formidable Brooke throws a monkeywrench into his world. I received a complimentary audio and I am voluntarily reviewing. Collette writes an interesting and exciting love story. Brooke managed a diary farm that had been lost in a wager to Heath. Then when he got there things started to happen to him. He even made a wager with Brooke. Stevie did a superb job narrating it.